The Sit a Spell and Play a Tune Pianos create enjoyment for all! 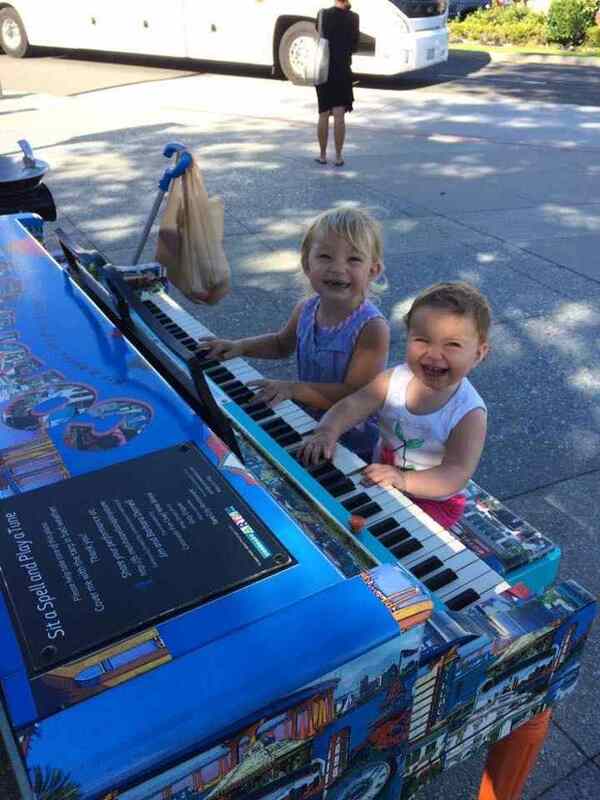 The City’s Cultural Arts Commission announces the return of its “Sit a Spell and Play a Tune” three public pianos at Rotary Plaza, Adella Plaza, and the Coronado Ferry Landing. The Commission is recruiting musicians of all ages and skill levels to participate in the opening concerts in May. “Sit a Spell and Play a Tune” is an interactive, artistic and musical public art program that places three brightly wrapped pianos at outdoor locations around Coronado. The pianos are open to be played by anyone. The program is in its third year. The pianos were donated by residents and wrapped in artwork by local artists Jody Esquer, Tina Christiansen and Karrie Jackson. Businesses and organizations adjacent to the pianos volunteer to open and close the pianos daily. They can be played from 10am to 9pm. A series of opening pop-up concerts are planned at all three venues. The first concert is planned for Saturday, May the 4th, and will be a Star Wars themed event at the Coronado Ferry Landing Piano from 2pm to 4pm. Everyone is encouraged to wear Star Wars costumes, and there will be Star Wars themed crafts and snacks. Two additional concerts are planned on Saturday, May 11, at Rotary Plaza at 2pm and on Saturday, May 18, at Adella Plaza, at 2pm. If you’re interested in performing, please contact Arts Education and Musical Arts Commissioner Mariah Gillespie at mariah@msmariahsmusic.com.